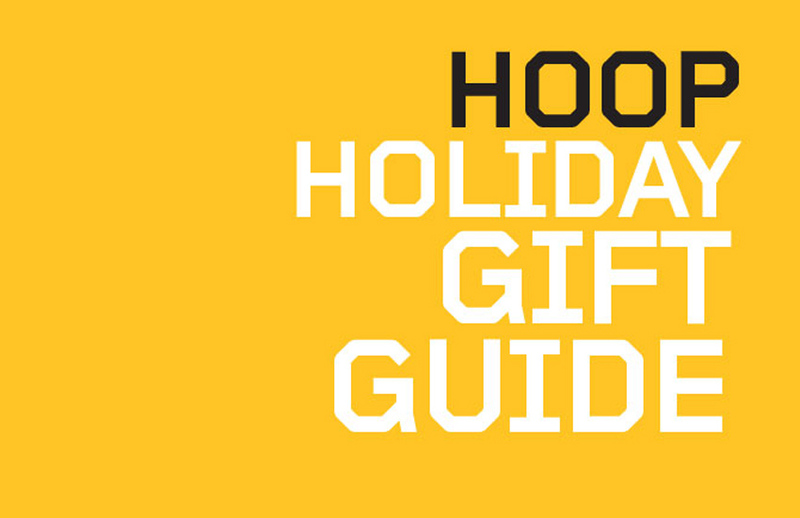 If you’re struggling with what to get for someone—yourself included—this holiday, let us try to help. Free free to take out suggestions or get inspired by them to find the perfect gift. Our favorite cushioned shoe gets a much needed coat of armor to weather the beaten path and the winter. 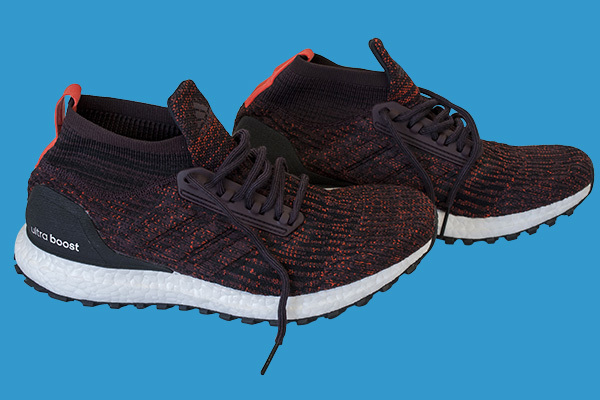 The ATR effect on the UltraBoost is a layer of water-repellent (it will sustain a sprinkle-laden run but not downpours) over the Primeknit. The pillowy footstrikes from the Boost remain while the Continental Rubber outsole grips, even in wet conditions. Knit construction has been commonplace in the sneaker world, but Herschel has taken the same principle—high tensile yarns woven to form a strong structure with potential for interesting designs stemming from the weaving process—and applied it to what it does best: backpacks and assorted carry-alls. 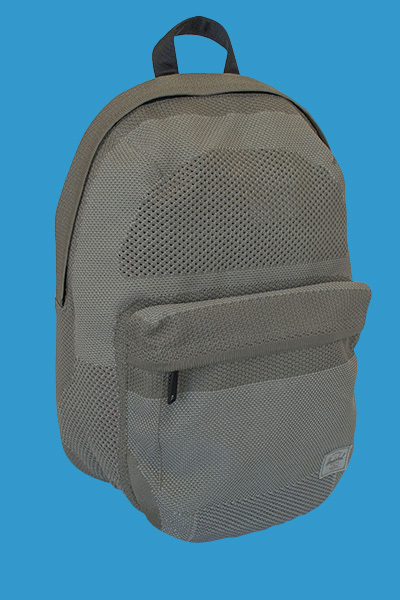 Using one of its more popular silhouettes, the Lawson, the backpack is constructed with 27,874 meters of yarn in a span of 7,320 seconds (we did the math for you: a shade over two hours). We know this because it’s printed on the interior of the bag, which features a neoprene laptop pocket and assorted compartments to organize all your daily sundries. There comes a time in everyone’s life where something needs to be cut off. Be prepared for that moment with the MAX XR Angle Grinder, to will make swift work of any pipe, rebar or stray shard of metal. 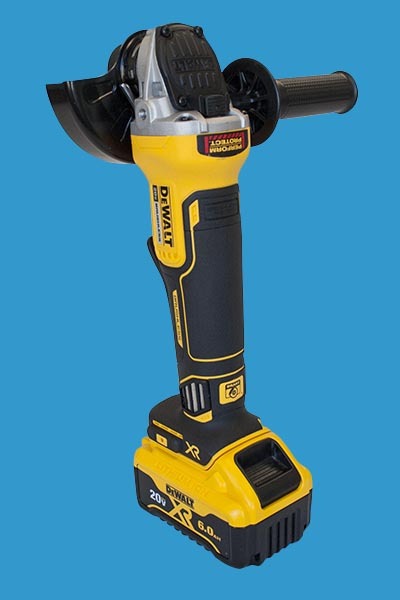 The four and a half inch cutting blade and 20V cordless grinder can even make cuts to masonry and tile (provided you have the right cutting wheel) and is equipped with a kickback break that quickly stops the motor when it detects any pinching, binding or stalling while on. When Microsoft first launched the original Xbox in 2001, it took the first baby step in bringing the PC gaming experience to a console. With each iteration, it got closer, and now with the Xbox One X (and more cross-platform playability between PC and Xbox gamers via Xbox Live), the lines are more blurred. While not a completely new system, the One X is a One S (itself a minor update to the Xbox One) with a major power boost. It is powered by an eight-core AMD CPU (2.53 GHz), a 31 percent jump from its predecessor, but more important is the 40-core graphics processor that breaks the uncharted-for-a-console GHz territory at 1.172 GHz (the One S has a 12-core equivalent at 914 MHz) and double the RAM to bring life to games. Supporting the HDR10 standrard, the One X will render compatible games at 4K, and like the One S, play 4K media through UHD Blu-ray media or streaming services such as Amazon or Netflix. It will improve on games and media even if you don’t have a 4K display, but one is recommended if you want to fully experience the Xbox One X’s capabilities. While it still falls short of a tricked-out gaming PC expereince, the Xbox One X is a simple out-of-the-box solution that gets you closer than ever. 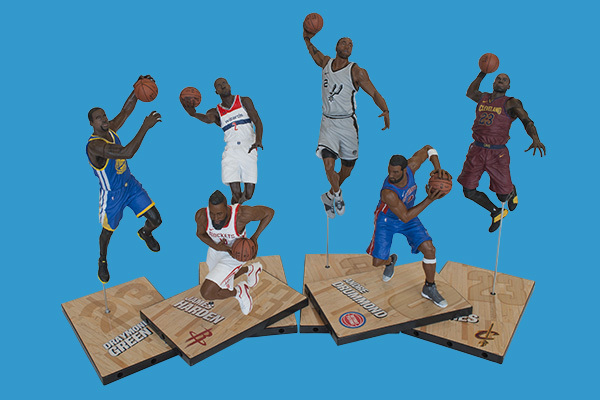 Todd McFarlane has been sculpting NBA figures for a minute now, 31 cycles to be exact. Like the game itself, they’ve steadily been evolving and improving with each year. Facial features, muscle definition and fine details like tattoos are painstakingly mapped onto a dynamic action pose that reflects the player. Series 31 includes LeBron James, James Harden, Kawhi Leonard, Draymond Green, John Wall and Andre Drummond. Kobe Bryant has been the greatest winner this century, totaling enough rings to fill a hand. 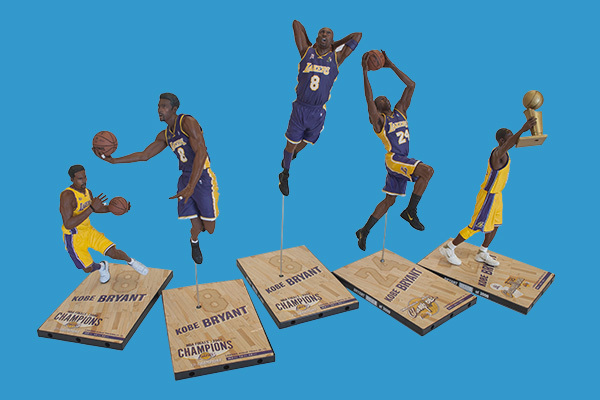 McFarlane celebrates this generation’s greatest champion by dropping a commemorative figure for each title. Beginning with his first taste of the chip in 2000, the subsequent two titles in ’01 and ’02 for the threepeat and then the transition from #8 to #24, where he took the throne again in ’09 and culminating with his final time hoisting the Larry O’Brien Trophy in 2010. Samsung proved it can take a punch with the Note 8. After the Note 7 was pulled off the market due to defective batteries, Samsung reclaims the throne as the best large size phone for productivity with the 8. Those who think a stylus is extraneous for a phone probably haven’t experienced a Note phone. A fixture since the Note’s debut, the S Pen gives more precision for work tasks—editing documents and spreadsheets, and note-taking—but also amps up the fun—creating GIFs, adding captions and playing games. The other distinguishing feature is the Note 8’s dual-lens camera that ups your bokeh game a level or two. The Note 8 shares similar DNA with its little brother, the Galaxy S8, namely the top-in-class processor, wireless charging, water resistance, expandable microSD memory and the stunning OLED display. 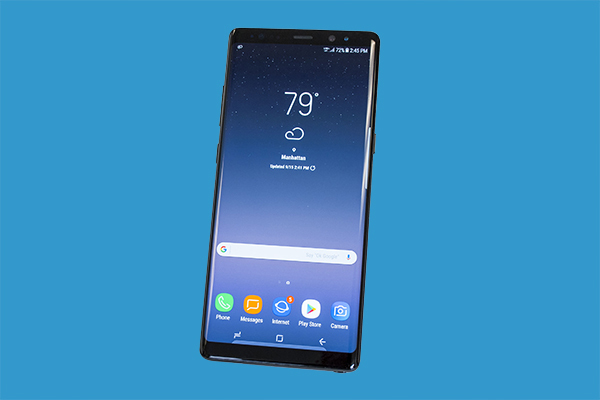 While the Note 8’s form factor isn’t as svelte as the S8, its larger screen (6.3 inches), productivity and upgraded camera make it our top pick in the Android arena. There’s nothing more basic than the essential down jacket for the wintertime. 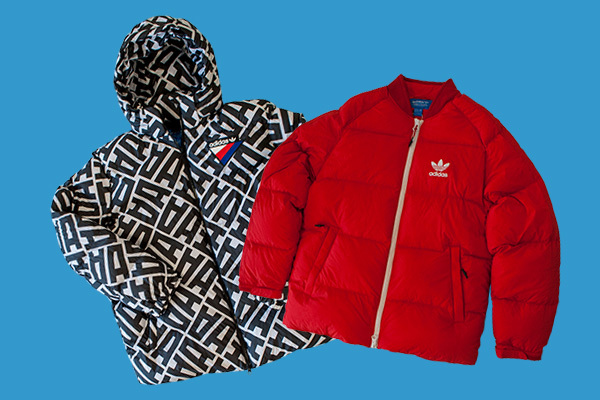 Adidas offers up two options that will keep you warm until spring. The SST Heavy Down Jacket is a winterized version of the classic SST track suit by the Three Stripes, except with a down insulation and water-repellent finish and fleece-lined pockets. The Allover Print Jacket features a bold look that will keep you toasty with its Microrollo insulation, detachable hood and elastic cuffs. It hasn’t reached the hype of its big sister, the iPhone, but the iPad is nearing its 10-year birthday and just continues as the best tablet experience. There’s few groundbreaking features to report—the A9 chip (from an A8X) gives it a nice boost, especially on fast twitchy games—but its biggest selling point is that it’s a reliable tablet that revolves around Apple’s rich app store (at last count, over 1.3 million apps). The other noteworthy highlight is the iPad’s retina display that packs more pixels per square inch into its 2,048 x 1,536 resolution screen. On top of that, Apple has made getting one cheaper. 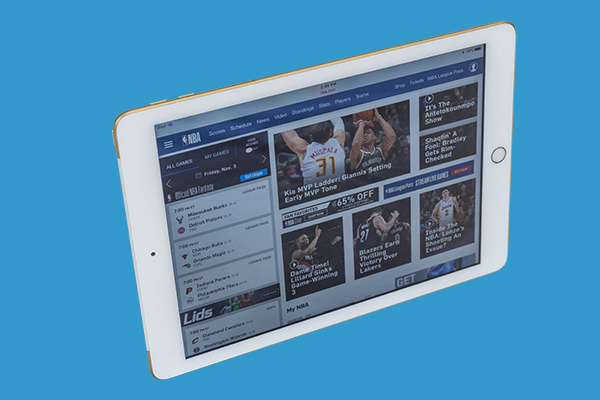 The starting price of this 32GB Wi-Fi iPad is $329, a nice $70 drop (who says things don’t get cheaper?) from the previous iPad Air 2, making it one of the best deals for a snappy, best-in-class tablet. The actual Saturn V that led to Neil Armstrong’s historic moonwalk was one small step for man, one giant leap for mankind. 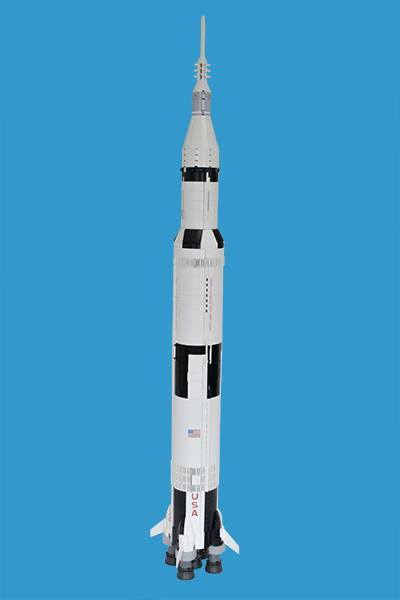 The LEGO-ized version of the Saturn V won’t be as momentous, but it will take almost 2,000 pieces to put together. The finished product is taller than your average toddler at almost 40 inches (note: Don’t let toddlers get their hands on it) and a very impressive LEGO replica of the actual thing. It’s always impressive how LEGO designers can pack so much detail into the humble system of bricks, but they capture fully (in 1:110 scale) the Saturn V. From the various stages of the rocket, the engine details, and the Apollo spacecraft that landed on the moon, to the tinier than tiny astronaut figures, any space enthusiast will appreciate this. The Ionic is much more than your average fitness tracker and it’s not quite a full-fledged smartwatch, but the end result is a very attractive fitness-centric watch that excels in all the things Fitbit is known for: tracking activity, measuring heart rate and giving you reminders to move in order to reach your fitness goals. 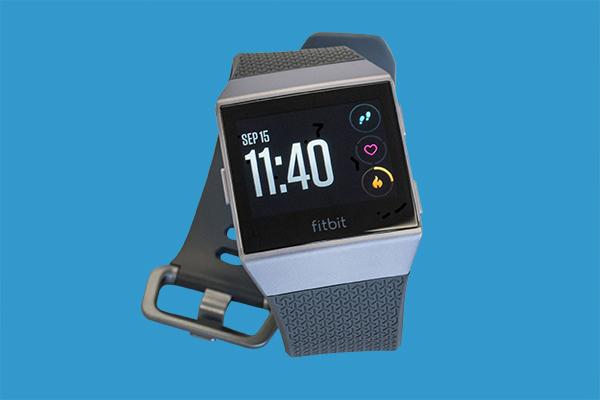 What makes the Ionic groundbreaking in the Fitbit realm, is the addition of a Fitbit OS that gives the watch its own library of supported apps to give it more depth. At the time of testing, it was only outfitted with just a few, but Fitbit has promised more down the road. The Wallet app lets you link it with a credit card for tap-and-pay functionality (via NFC); the Starbucks app runs much like its iPhone or Android counterpart, a QR code to purchase that post-run caffeine fix; and there’s Pandora for music streaming (the Ionic also has a music app to play the 2.5GB worth of music that can be loaded into it). Also new to the Ionic, is the built-in GPS to help track your runs and bike rides. You can receive notifications from your phone to the Ionic, but it’s read-only as you can’t respond to them. So while it lacks against a dedicated smartwatch, the Ionic does shine when it comes to fitness, besting anything else on the market in that area. That along with its long battery life—we get almost six days on a single charge—make it a recommend if fitness is your priority. Known for high-end drones, DJI offers a similar array of features in a decidedly small but powerful package in the Spark. About the size of Giannis Antetokounmpo’s hand (probably smaller) the Spark is easy to get up and running. You can rely on the onboard sensors to control the drone via hand gestures—a goodbye wave sends Spark soaring, two L-shapes with your hand (like a director framing a shot) and a photo is snapped, a Y-shape with your arms and body will direct it to land—and if you pair it with your phone via the DJI app, you’re afforded a host of other control options, a live view of the drone through your phone and extended range. The optional remote controller ($149) will further extend your range and give you more precise controls via the analog sticks. The two-axis gimbal-stabilized camera can shoot 12MP stills and 1080p video. 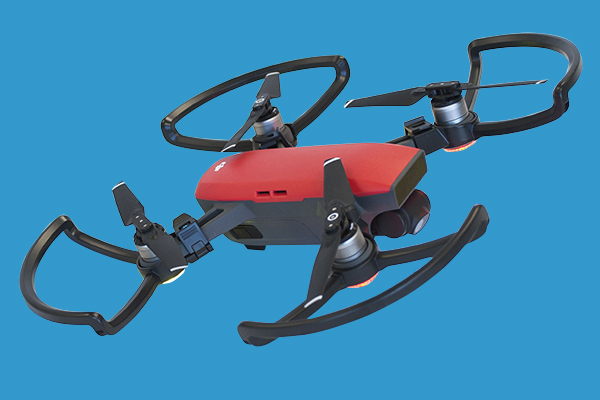 The Spark might be an entry level drone, but it packs a lot of fun, making it perfect for those getting into the hobby or content creators looking for the addition of aerial footage. Taking its tagline of “Born in Springfield, Raised in New York,” this Foot Locker-exclusive collection is born from Justin Leonard’s connections to the game that—although has its roots in Massachusetts—has branched out its reach in New York. 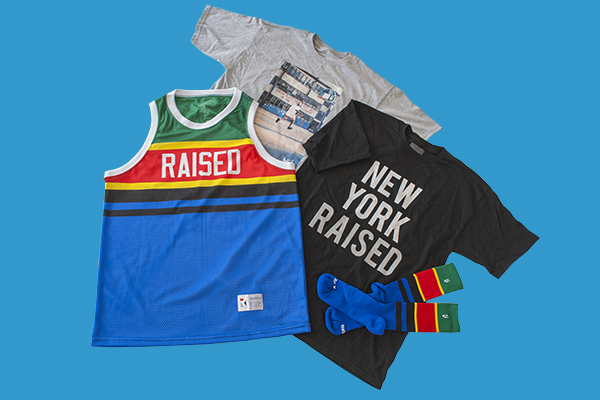 The apparel collection features tees with iconic imagery from New York City (including legendary streetballer and DJ Bobbito Garcia), and bold color-blocked jerseys, shorts and socks. 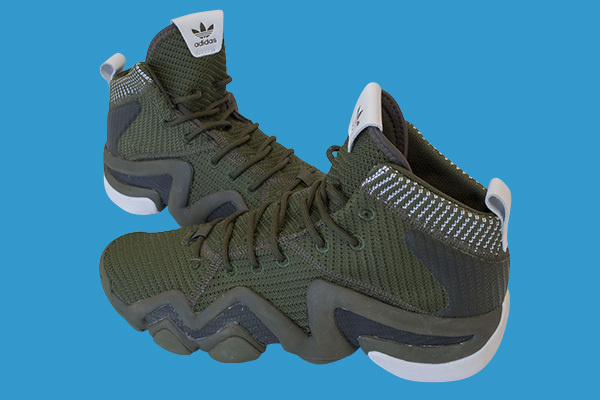 The Crazy 8 (formerly the KB8, the 1997 signature shoe of Kobe Bryant when he was with the brand) gets a modern makeover in the form of Primeknit construction. Gone are the internal straps that lock the foot into the ’90s-era (formerly Feet you Wear) midsole/outsole setup that was supposed to mimic the natural foot and reduce any ankle rolls, but the shoe is every bit as relevant now as it was 20 years ago. This is a case where seeing isn’t believing, but feeling is the truth. The Ghost Whisperer needs to be in-hand and on-body so the sheer weightlessness of it is fully realized. Coming in a scant under eight ounces, the Ghost Whisperer is pound-for-pound—um, ounce-for-ounce—one of the warmest jackets you will find. 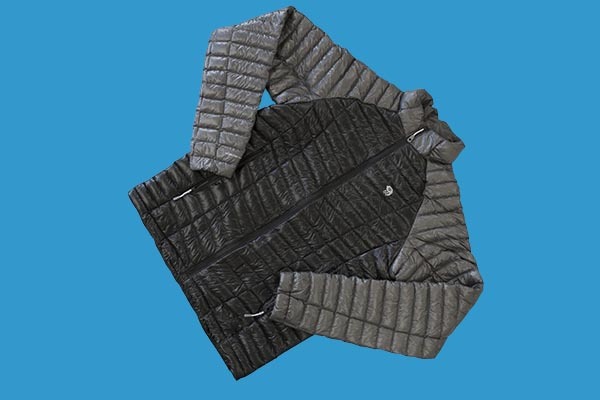 Filled with Q.Shield (down fibers infused with permanent water repellency) 800-fill down, the Ghost Whisperer provides a layer of barely-noticeable insulation that is perfect for a brisk day, light rain or snow be damned, or easily layered underneath for sub-freezing temperatures. 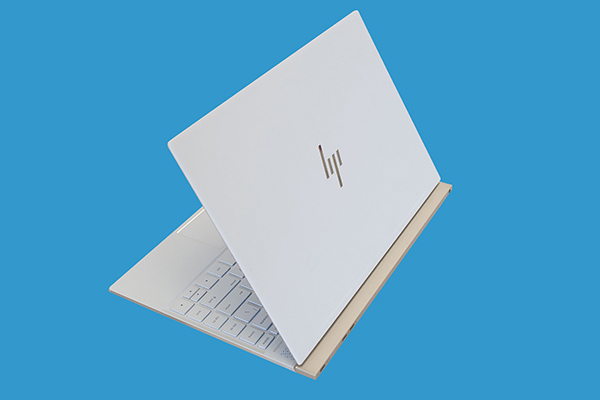 There’s not more room for the ultrabooks sector to keep shrinking, but HP has managed to push the envelope in terms of size and how much more it can pack into a device that measures just 12.13 x 8.86 inches, with a thickness of just 0.41. Coming in at just under 2.5 pounds, HP managed to pack an eighth-gen Intel Core i7-8550U CPU that runs at 1.8 GHz, 8 GB of RAM, Intel UHD Graphics 620, a 256GB SSD and a 13.3-inch touchscreen (1,920 x 1080) display. There’s options to upgrade the internals, as well as a 4K display (though at such a small screen, we wouldn’t recommend it). While the power the Spectre 13 boasts is impressive, we were more enamored by the looks. HP has been putting more emphasis on its product design as of late and the Spectre 13 is proof of that. The entire shell is a matte white ceramic finish and trimmed with gold, giving the laptop a look that screams luxury. Not stopping there, HP also partnered with high-end audio maker Bang & Olufsen to provide the speakers, which pumps out beefy-for-its-size sound. The trackpad is responsive enough and the low-profile keyboard is tactile enough for some light typing. At this size, you can’t expect long hours of battery life, but we managed to get a day’s use (by that, we mean a solid 10 hours) from it. Ports are scarce, which can be a good or bad thing. Good since it gives it a clean look and makes the Spectre a more beautiful object than computer. Bad because with just three USB-C ports (one is for charging), you’ll need to deal with #donglelife if you require peripherals in your daily computing. HP proves with the Spectre 13 that beauty and brawn can coexist. The entry price of a large-screen TV is lower than it’s ever been, but it’s still relatively steep to have that 70-inches-and-up picture. Projectors have always offered good picture size to cost, but for many, the installation and low ambient light conditions for optimal viewing gave pause. The LS100 addresses both caveats as it is a short throw 3LCD projector that can be placed as little as 16 inches in front of a wall or screen to produce a bright (4,000 lumens) 120-inch 1080p picture with deep blacks (2,500,000:1 contrast ratio) that can be viewed in broad daylight. Inch for inch, no flat panel TV can match that type of output at the sub-$3,000 price point. You can project it onto a bare wall, but optimal quality would be had with the most basic of screens. The LS100’s HDMI inputs sit in the rear, making for easy connection of your components while keeping things neat. 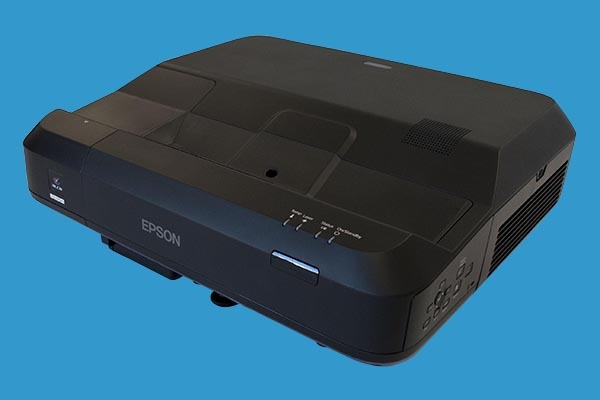 The one complaint we had was the lack of inputs (3 HDMI ports, and two legacy ports: a composite video and VGA), which would necessitate a HDMI hub to accomodate a main TV setup that Epson envisions the LS100 to be. The OneBlade is nowhere near the most powerful shaver. The shave it offers isn’t the closest. It is barren of any tech or bells and whistles. In spite of all this, the OneBlade will be the most used device in your grooming arsenal. 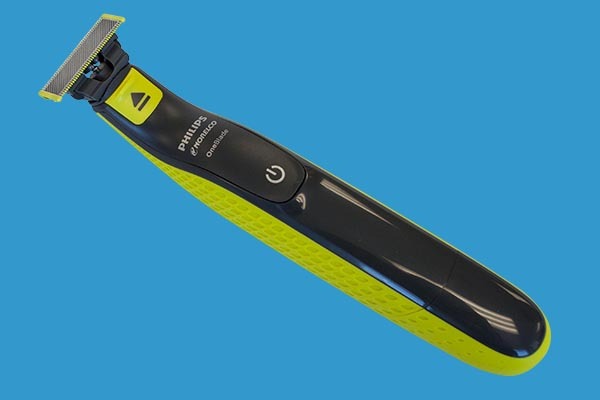 As mentioned, it doesn’t stand out in any area, but it does a good job in all your daily trimming, shaving and edging needs in a simple design that is a hybrid between a cartridge razor and an electric shaver. The replaceable heads feature a shaving foil that provides a clean shave whether you go with or against the grain, and is surrounded by cutting teeth blades that make easy work of all your detailing. Baldies can even run it over their heads, but keep in mind it wont give you that skin smooth finish that a razor can. The blade heads are rated for four months of use and are relatively affordable to replace ($15 each or two for $25). The OneBlade is by design low-tech, save for the internal lithium-ion battery that will get you 30-40 minutes of usage before requiring a short charge to jolt it back to life. Its versatility and simplicity is what will have you reaching back to it for your daily grooming needs. Every aspiring grease monkey needs a helper around the garage. The Sidekick Stool can’t help you loosen that tight nut, but it can stow away your most used tools and offer you a seat when you need to call the mechanic for professional help. 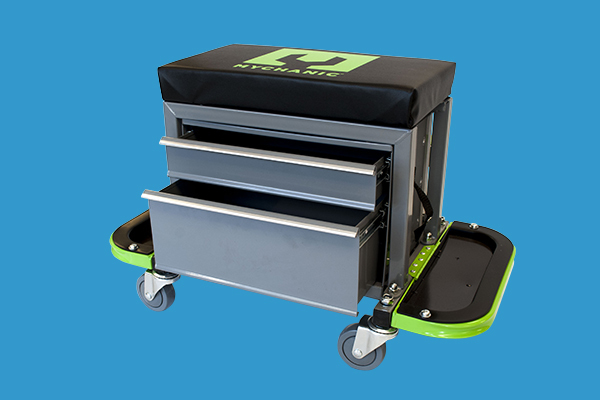 The cushioned seat sits atop an all-steel tool bin with two pull-out drawers and heavy-duty casters. The sides drop down and offer up a magnetic tray to corral all your nuts, screws and bolts and a slotted tool tray in the back gives you a convenient resting place for tools. For whatever reason, Damian Lillard gets overlooked. As a player, he doesn’t get his just due as one the game’s best point guards. As a rapper, his flow and lyrics always get the caveat of “…good for an NBA player.” And his signature joints don’t get the same hype that other shoes get. Which is all fine with Dame. The underdog status is what he thrives on, and it’s only fueled the Oakland native. The fourth iteration of the series sees a textile upper that breathes as well as sheds weight. 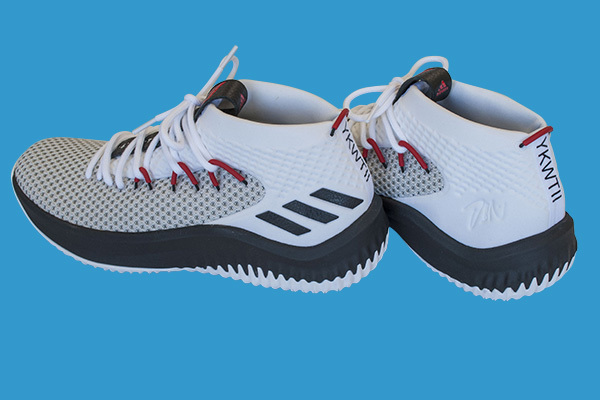 The Bounce cushioning isn’t as quite as plush as Boost, but for basketball, it might be preferred by some since it offers more court feel and less “mushiness” on landings. We dig the lacing system that anchors the shoe into your foot, the neoprene collar on the shoe’s bootie construction and the wavy outsole pattern that represents the flow of time. In Shea Serrano’s previous tome, The Rap Year Book, the author lends his unique and humorous point of view to the world of hip hop. He follows it up with the same treatment of one of his other loves: the NBA. Only from his mind can you get answers to such deep basketball ponderings such as “If 1997 Karl Malone and a Bear Swapped Places for a Season, Who Would Be More Successful?” and “Which NBA Player’s Group Are You Joining If the Purge Begins Tonight?” Not all is irreverent as conventional topics like best NBA duo and greatest dunker are explored. 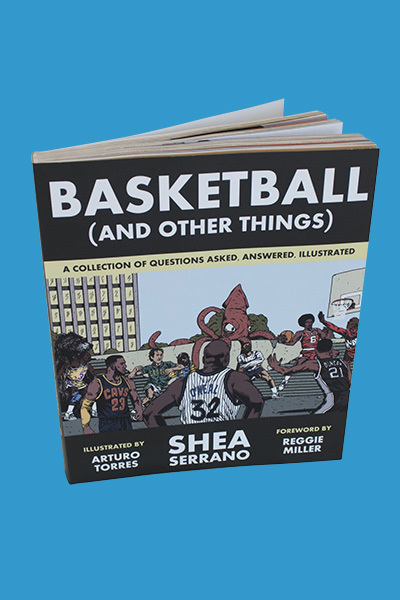 All of the musings—the book spans 240 pages and is comprised of 33 chapters—is playfully illustrated by Arturo Torres and serves as a reminder that although basketball fans may get all riled debating GOAT status and greatest teams, the NBA, at its core, is just plain fun. For a price that won’t break the bank, the Cloud Alpha is a great gaming headset. If you’re still on the stock console headset, this is the right move. The molded cups fit over the ear comfortably, even during long sessions. Directional audio is excellent for shooters where tracking enemies and targets are crucial, and even small and subtle sounds from games were audible. The flexible gooseneck microphone captures your voice clearly and can be removed during solo games. 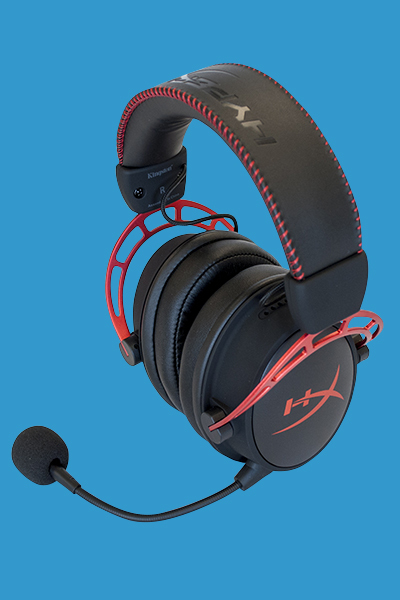 The design of the Cloud Alpha is understated as gaming headsets go. The black and red aluminum isn’t flashy but should also prove to be durable. For what it’s worth, it’s the gaming headset of choice for brand ambassadors Gordon Hayward and De’Aaron Fox. In case you’re curious or not of a certain age, E.T. stands for Extra-Terrestrial, Steven Spielberg’s first acronymed science-fiction movie (A.I., being the other) that birthed the phrase “E.T. phone home,” launched Drew Barrymore’s career and put Reese’s Pieces on the candy map (M&M’s were the original candy of choice, but they had declined). In celebration of the movie’s 35th anniversary (another fact: E.T. 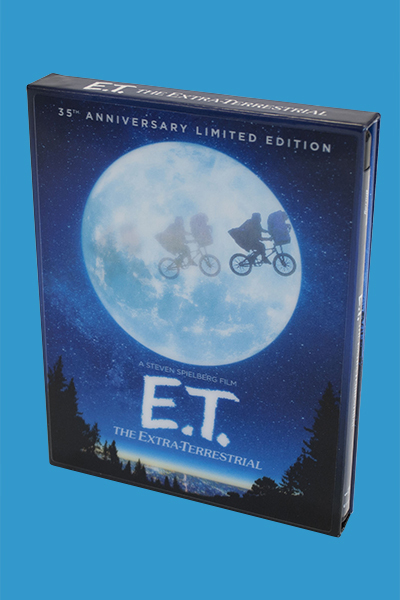 was the highest grossing movie of all time for 11 years before Spielberg outdid himself with Jurassic Park), the beloved alien adventure gets a glorious 4K treatment along with over three hours of bonus content (interviews, deleted scenes and featurettes) and a collector’s booklet filled with stories and photos from the archives. With more phones going the audio jackless route, the move to Bluetooth headphones is necessary if you want to avoid the dreaded dongle. 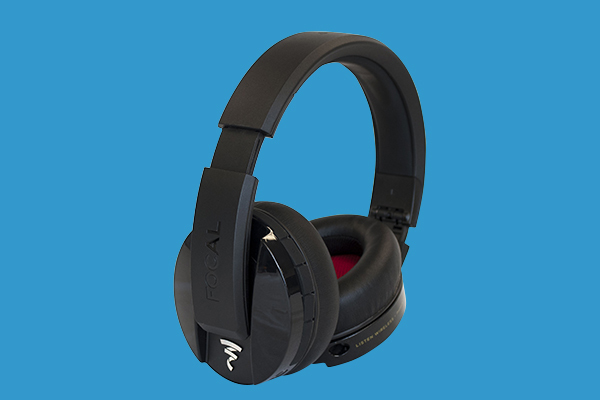 Made by Focal, a premium French audio company with roots in high-end audio components, the Listen Wireless is (relative to its portfolio of products) an entry model to wireless audio. Supporting Bluetooth 4.1, the Listen gets terrific range, more than enough for the pocket to head distance that it is intended for, but if you want to meander around your house in them, they can maintain a 30 foot connection as long as it remains line of sight. This strong connection means when walking in any interference-laden metro area, the Listen stays locked in with minimal breakup (we tested it on the busy midtown streets of New York City). Sound quality is excellent, highs and lows were prominent with good separation between instrumentals and vocals. Bass is not too deep, which is more compliment than deduction (cheaper headphones tend to bump up the bass to hide the audio flaws). This was all based on wireless operation. The Listen shines even brighter when you plug in the optional 3.5 mm audio cable (which will require an embrace of #donglelife if your device lacks an audio jack). You can expect about 18-20 hours of wireless use per charge, which passes our standard of charge-once-a-week for wireless peripherals. 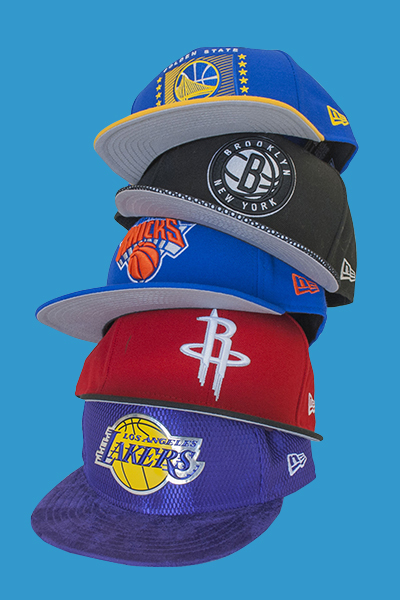 When New Era became the official headwear partner of the NBA a year ago, it opened up a ton of haberdashery options for the NBA fan. There are too many styles and fits to list, but you can never go wrong with a classic 59Fifty Fitted or the versatile 9Fifty Snapbacks that the brand is known for, or a “dad-fit” that seem to be in favor these days. The late Stuart Scott didn’t coin “cooler than the other side of the pillow,” but he was the first to bring it into sports vernacular. 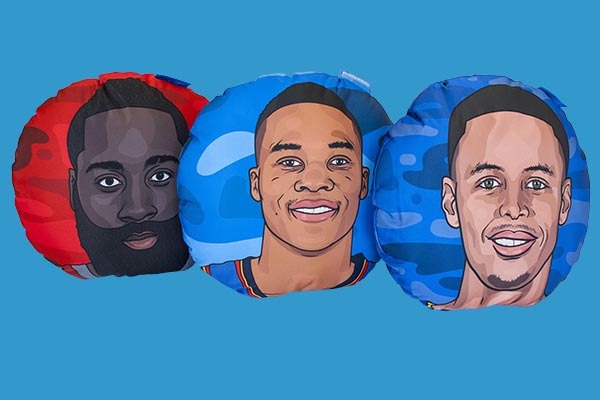 These NBA Pillow Heads feature players that Stu would’ve given that designation. On one side is the illustrated head of your favorite player and the flipside has his jersey number. Which side is cooler? Your call. Winter elements are tough on footwear. Slick icy walkways, slush and snow, and the ensuing melted mix of ice, mud and salt will wreak havoc on your shoe game. 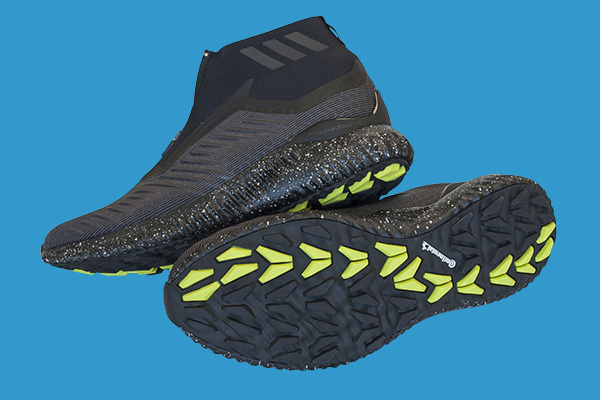 The AlphaBounce 5.8 Zip combats the winter grind with a deep-treaded outsole that features Continental Rubber to bite into the ground, a zip-up neoprene collar to cinch your feet from the snow, and a winterized ForgedMesh upper to shed moisture. Add a little heat to your holiday season with the Fuego Box, a hot sauce subscription service focused on bringing hot sauces on the come-up to the masses. Once you’ve been hooked to the magical allure of Fuego Box, like a gullible baby fish to some sparkly bait, the end result is much the same: Eventually you’ll be left flailing on terra firma, praying for the unholy pain to subside while simultaneously, in full Orwellian doublethink, craving more burn as you yearn for water—or milk—so the flame is doused and the eating can continue. However, don’t fret if you’re not a chilihead and your mouth is still a virgin to the bhut jolokia, because taste before fire is Fuego Box’s No. 1 priority. 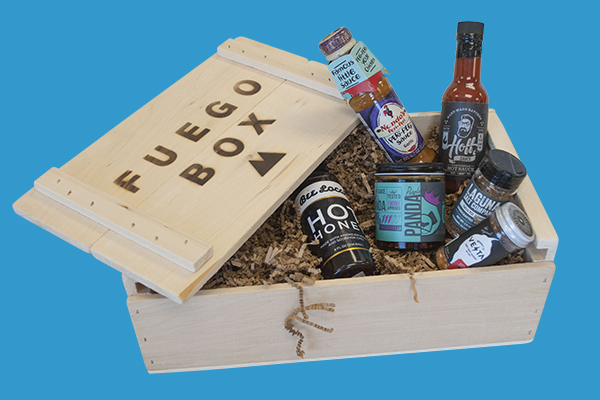 In addition to monthly and quarterly subscription options that can net you three bottles per shipment, we recommend the Spicy Box of Awesome Hot Sauce Gift Set that comes in a limited edition Fuego Box wooden crate featuring six unique products that Fuego Box is constantly changing up. We liked the Bee Local Hot Honey, Hoff Sauce, World’s 1st Dry Hot Sauce by Vesta and Nando’s Peri-Peri Garlic. The selection will vary, but expect a variety of spiciness, flavor, aroma, style, form and consistency in this set. From the Fuego Box store, we also recommend the versatile Zana Sauce and, for some funky heat, Frankie V’s Spooky White. A good portable power bank is a necessity while traveling. The Powerstation USB-C XXL extends life of your digital devices, including USB-C powered laptop (looking right at you, Apple MacBook). 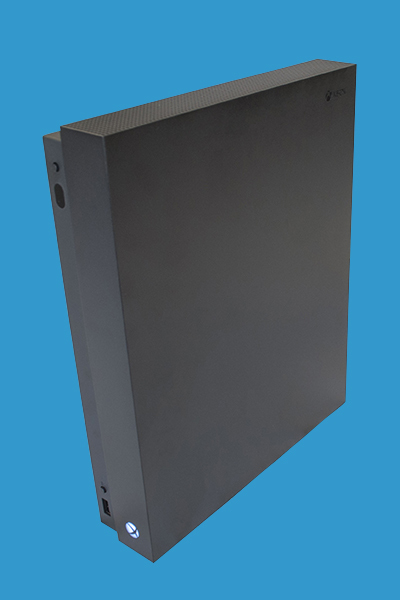 The 19,500mAh battery on the Powerstation promises an additional 14 hours on a laptop, 66 hours on a smartphone and 27 hours on your average tablet (but of course it depends on varying factors like the size/brand of the laptop and usage of device). 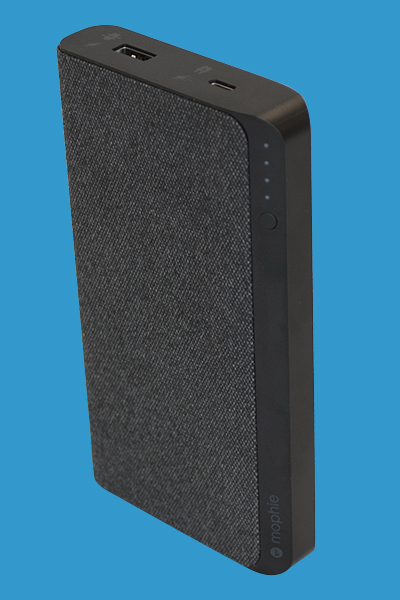 It sports an LED power indicator and two ports, a standard USB-A and USB-C port, both capable of quick charge if your device supports it and has Priority+, which means it will intelligently pass-through charge to the connected device first when you have the Powerstation plugged into an outlet. The Powerstation isn’t quite pocketable at 13.76 ounces, but it does come wrapped in a fabric mesh that lends a touch of luxe in a typically utilitarian device. The beauty of the Circle 2 lies in the simplicity of its setup. After downloading the app onto your phone, you simply take the camera out, plug it in, find it on your Wi-Fi and within minutes (took us five) you’ll have home security. 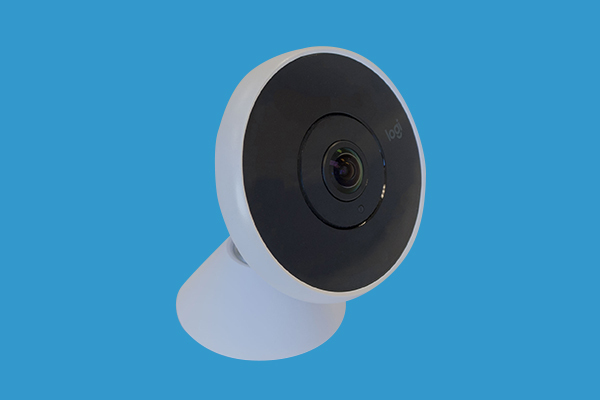 Available as a plug-in or battery-powered wireless one (we tested the wired version; the wireless option has a purported three-month runtime on a charge), the Circle 2 offers up 180-degree field of vision 1080p video in a compact weatherproof orb for easy mounting indoors or out. Night vision means you can catch intruders like prowlers and raccoons and the two-way talk and listen feature allows you to scare them away. Circle 2 comes with free cloud storage of 24 hours; upgrading to a basic plan ups it to 14 days while a premium plan is 31 days and unlocks the ability to set up motion zones and face detection. The Circle 2 can be linked up with Amazon’s Alexa and is compatible with Apple’s HomeKit. Optional modular accessories like a window mount, extension kits, extra rechargeable batteries and plug mount (the latter two for the wireless camera) expand mounting possibilities. Digital photo frames might seem passe but Edge 13 revitalizes the concept by making the previous chore of manually pulling photos from various sources into a memory card and having to repeat the process every time you want to add a photo. Nixplay operates—like any proper connected device—via an app. From there you can seamlessly send your photos and videos from your phone to the Wi-Fi-connected photo frame. The vivid 13-inch, high definition (1920 x 1080) display serves as the canvas for your memories. As a gift, the Edge 13 shines as you can maintain a link to the frame and share photos remotely (the recipient will get an alert on the frame that new photos have arrived). If you live in an abode that spans a few levels or even if you have unexplainable dead spots where you can never get a clear Wi-Fi signal, the Velop will blanket your home, ensuring you get maximum bars on all your connected devices. It works by expandable nodes that communicate with one another, forming a daisy chain of wireless coverage. 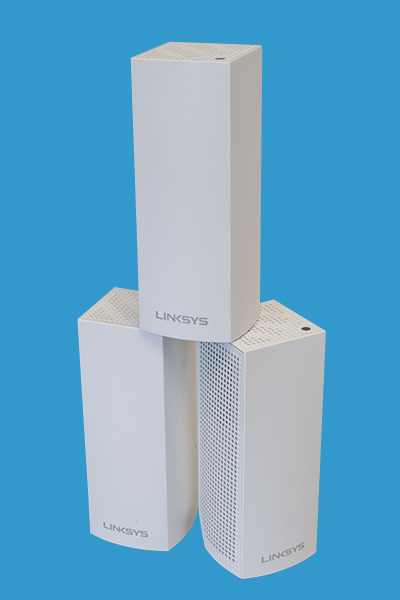 Each of the nodes is a tri-band (2.4 GHz and two 5 GHz) 802.11ac router capable of covering 2,000 square feet. Together they form one synchronous network, and the Velop system will always connect your device to the optimal node in the background, so you can walk around your home and always get peak Wi-Fi. We tested the three-node system, placing one on each floor. The setup, like all connected devices, requires a companion app, and takes but a few clicks for the initial setup. Once up, the Velop nodes rely on a single not-too-bright LED status light to indicate your network’s health and all other options can be configured via the app. 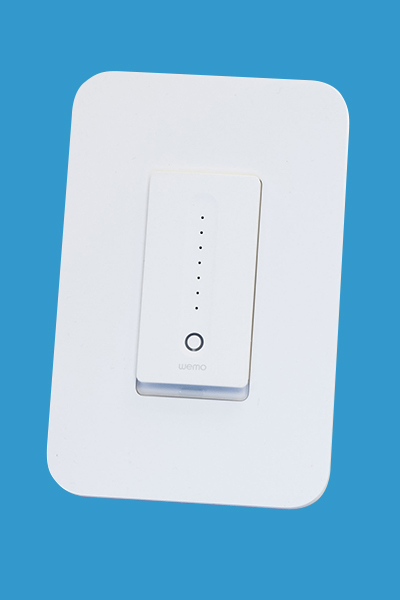 The nodes themselves (the Velop can be expanded up to six nodes) blend right into most decors and feature two gigabit Ethernet ports on the underside for wired devices. It’s hard to improve on Sonicare’s top-rated electric toothbrush, but Philips did just that. 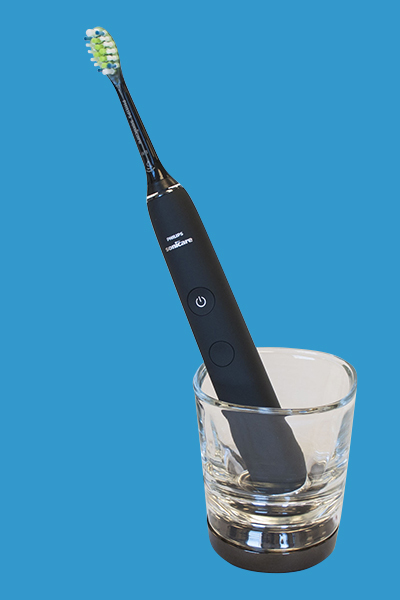 Its sonic-based brush remains largely the same—it gently vibrates off any manner of grime that eventually leads to plaque and other oral ailments, and a timer prompts you to change brushing zones—but they added a few extra modes for more fine-tuned cleaning and a light turns on to remind you when you’re pressing the brush too hard against your teeth. If you’re the kind of person that wants to optimize your oral hygiene, a companion app provides real-time feedback and coaching to perfect your brushing. The slickest improvement is the charging dock. Gone is the clinical and staid induction charging, replaced by an elegant charging base that integrates perfectly with the glass cup that doubles up as a rinse cup. The DiamondClean rests inside the divot in the cup and charges, almost magically. The cup is easily rinsed and cleaned, doing away with the grime that would build up in previous versions. The charging setup is so good that users might never encounter the DiamondClean’s low-battery indicator indicator warning you that a only a week’s worth of brushing power is remaining. The thoughtful travel case that comes with it also doubles up as a charge dock. Drop the DiamondClean into it (it also holds two brush heads) and connect the micro-USB for on-the-go brushing. When the first light switch was flipped, we bet the inventor thought that it could never get any simpler to get instant light. With Philips’ Hue Connected Bulb, the switch is removed from the equation altogether if you so choose, replaced by an app on your phone that affords you options beyond on/off. A gamut of colors is available at your literal fingertips on the Hue app’s color wheel to set the mood, the lights can be programmed to your whim, controlled remotely, geo-fenced (lights turning on at your mere presence and off when you leave), preset to moods (dinner lighting, movie lighting) or even synced to music. Thanks to IFTTT support, Hue lights can also be integrated with Alexa, tied to your social media feeds (a blink when you’re retweeted, for example), the weather (blue reminding you to pack an umbrella) or even sports team (pulsing orange signaling that the Knicks won). 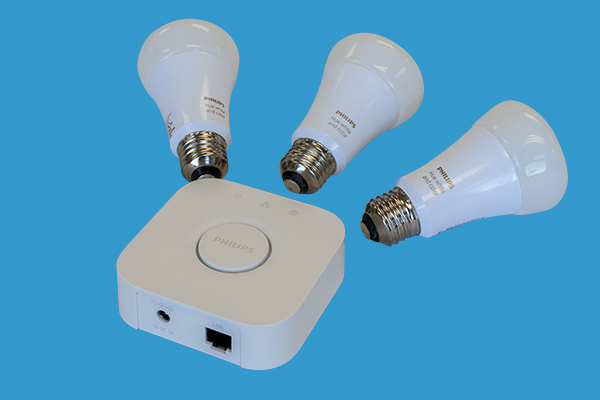 The kit comes with three color-changing smart LED bulbs and a bridge that connects it with your home network. We’ve co-signed on Wemo’s line of smart switches and plugs, and we’re doing the same for the dimming version. It can add brains to your existing dimmable lights or add dimming to a light socket (the bulb needs to be dimmable). Alexa support gives you voice-commanded lights on the switch (“Alexa, dim the light to 50 percent”) that never loses its novelty. If you’ve ever installed any light switch before, the installation will be as straightforward (be aware: older junction boxes, which are smaller, might be a tight fit). We’re not quite to the point where Rosie from the Jetsons is reality, but the Roomba 980 can probably keep your floors dust-free as well as any robotic maid. 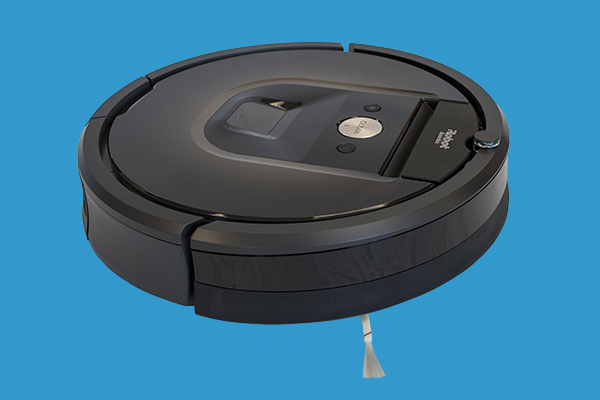 The Roomba 980 remains relatively true to its original design from 2002, but it’s been getting better at handling the dirty work, namely sucking up dirt off different surfaces while adding more brain and connectivity with each edition. The 980 is equipped with eyes in a camera and sensors to traverse your home and navigate pitfalls like stairs and your dirty socks. The beefed up motor and improved brushes do as good a job as manual vacuuming, especially those rogue potato chip crumbs and Cheerios that are a staple on every floor. The app lets you program the 980–you can also give it a name (we dubbed ours Joel Embiid) in the app—with its own cleaning schedule, get cleaning reports and notifications on the rare occasion it gets stuck on an obstacle. Rare—because the 980 is an offroad beast. It adjusts from solid floor surfaces to carpeting and rugs (it even boosts up the suction power when it detects rugs) and its low profile means it can clear under most cabinet kickboards. The Roomba 980 cannot respond to voice commands, but it can easily be paired with Amazon’s Echo lineup to get Alexa to get it to start cleaning up after you. Retrofitting an existing and capable home setup to one that is smart and connected is simplified with the kit from iDevices. 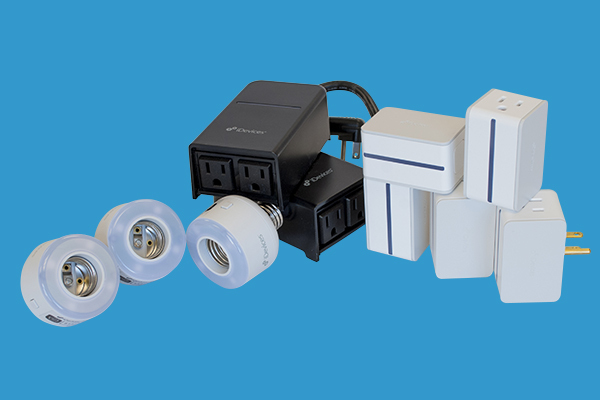 With an array of smart plugs and light sockets—five indoor plugs, two outdoor plugs and five light socket adapters, to be exact—it provides all you need to add brains to your lights and pluggable devices around the house. You won’t be able to control them beyond turning them on and off, but it does make them accessible via a digital assistant (Amazon Echo and Apple Homekit are supported) and in the case of the light sockets dimmable, with a simple voice command. Setup is seamless. Each plug or socket takes a one-time three-minute setup process that pairs it with the companion app. Once paired with your Wi-Fi network, you can call on Alexa or Siri to turn on the light or plugged-in appliance. The iDevices plugs and sockets can also be scheduled via the app and a handy tracker can generate energy consumption reports from each plug or socket. Amazon’s ever-popular digital assistant gets a face with the Show. Every bit like her anonymous counterpart, the Show has a 7-inch screen and beefed up internals in the form of an Intel Atom chip that will be the centerpiece of any smart and connected home. Voice commands activate Alexa per usual, but she can also display the answers and information, giving her more showmanship. 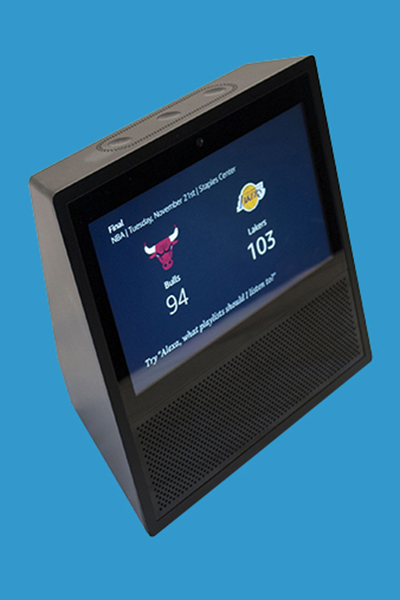 The display is also a touchscreen, but in our opinion, that feature is superfluous as we are accustomed to just interacting with Alexa with just voice. 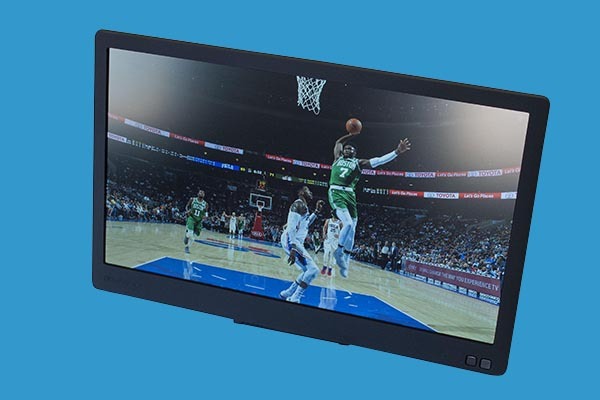 The Show can give you a video rundown every morning, play YouTube videos, serve as a photo frame and display any video cameras you have installed on its screen. Sonically, the Show’s beefy-for-its-size Dolby speakers that reside under the screen do an admirable job of pumping out audio. It’s not room-filling, but from a range of 12 feet, it holds its own, and a slight improvement from the Echo. However, when speaking to the Show, the five-microphone array does an excellent job of listening (almost too good) to your voice. Even shouting from the floor above, you can get Alexa at your beck and call. Speaking of calls, the Show can handle video calls, making it a communication hub for a growing network of Echo users. You just need to sign into the app with your phone number and Amazon will link you up with registered Echo users in your contact list. Overall, the Show is an eye-opening improvement of an already useful and stellar digital assistant. The screen opens up a lot of potential, but we wished the design was more sleek, instead of the boxy angular look (it resembles a mini rear projection TV), it would’ve been nice to see a thinner profile and smaller bezel.